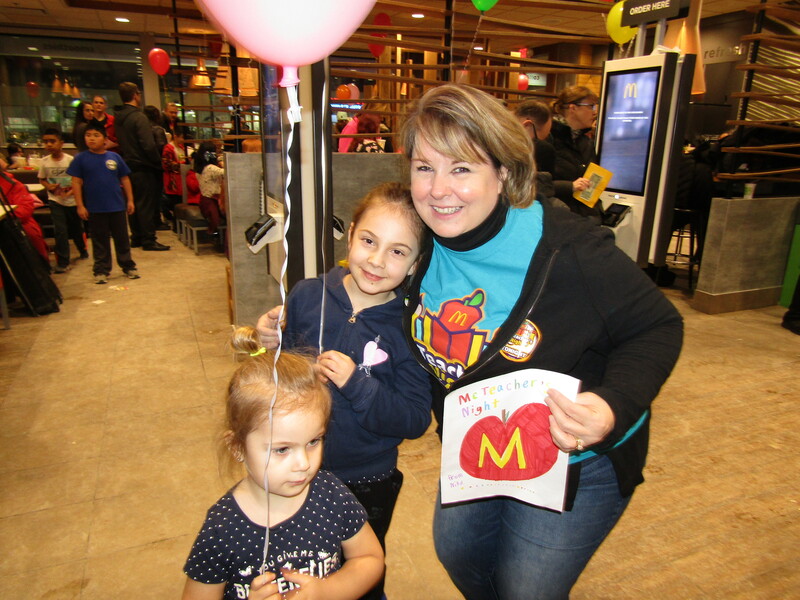 Buzz Aldrin Elementary School in District 54 held its first McTeacher’s Night on Wednesday, February 7th, at the Hoffman Estates McDonald’s on Roselle Rd. 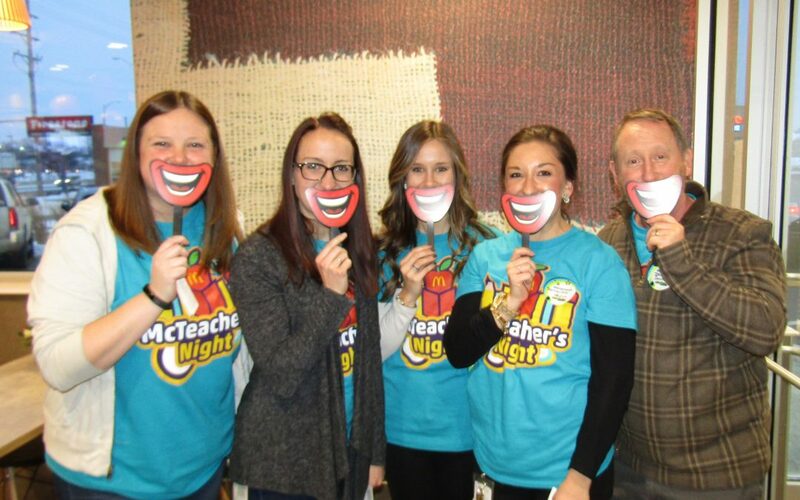 A McTeacher’s Night Fundraiser is organized to help raise money for local schools by having teachers and staff members work at McDonald’s for the night and then giving a percentage of the night’s sales back to the local school. An AMAZING 35 teachers and staff members from Buzz Aldrin volunteered to work at the restaurant during the event on Tuesday. All who were extremely excited to raise money for their school while making lasting memories with the students and their families. The principal, assistant principal, teachers, and staff members worked hard all night long serving freshly prepared meals to the students and their families. 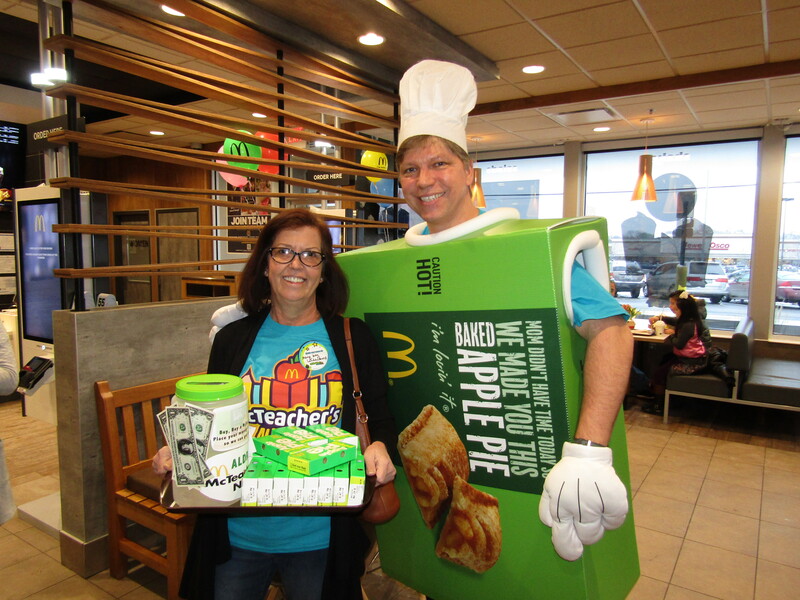 The McTeacher’s Jobs included greeting guests, cleaning the lobby, working the front counter, serving drinks, clearing tables, selling apple pies and even dressing up as an apple pie which PE teacher Derek Niepomnik did for most of the event. Thank you to the Buzz Aldrin Band Director Kelly Stanich who lead the band in a special performance during McTeacher’s Night. Another special thank you goes to Buzz Aldrin PTA member Traci Garcia, who organized the entire event as well as all the teachers and staff that donated their time to make this night an ENORMOUS success for their School. Buzz Aldrin Elementary School raised $1090.62 during this event and plans to put the money towards recess items for the children and classroom supplies for the teachers.